NBA 2K18 is a basketball simulation video game developed by Visual Concepts and published by 2K Sports. It is the 19th installment in the NBA 2K franchise and the successor to NBA 2K17. It was released September 15, 2017 for Microsoft Windows, Nintendo Switch, PlayStation 4, PlayStation 3, Xbox One, and Xbox 360. Kyrie Irving serves as cover athlete for the regular edition of the game, Shaquille O’Neal is the cover athlete for the special editions, and DeMar DeRozan of the Toronto Raptors is the cover athlete for the game in Canada. While a member of the Cleveland Cavaliers when selected for the cover, Irving was traded to the Boston Celtics prior to the game’s release. As a result, a new cover depicting Irving in a Celtics uniform was revealed alongside the original cover. 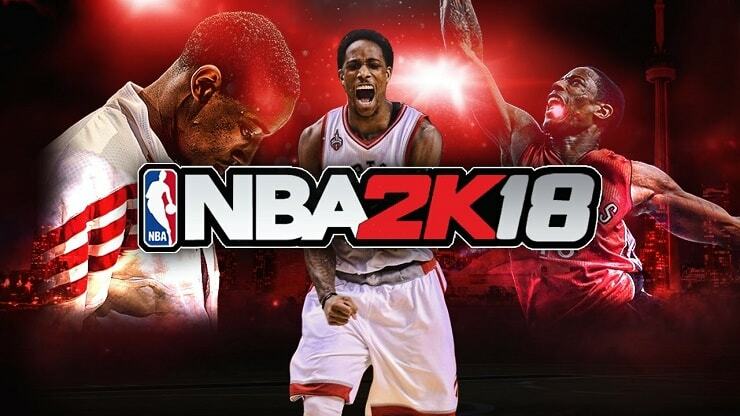 NBA 2K18, like the previous games in the series, is based on the sport of basketball; more specifically, it simulates the experience of the National Basketball Association (NBA). Several game modes are present, including the team-managing MyGM and MyLeague modes, which were a considerable emphasis during development, and MyCareer, in which the player creates and plays through the career of their own player. The game features a licenced soundtrack consisting of 49 songs. Wikipedia®. Write your own narrative, build your dream team, take control of the league, or prove you’re the best by competing against other players from around the globe. The future of sports career modes has arrived, allowing you to play the game the way you like. Build your career in NBA games, hit the courts in The Playground Park, join the Pro-Am circuit, or explore the shops and venues in an all-new open neighborhood setting. Featuring new MyPLAYER upgrade and endorsement systems, our biggest cast of characters to date including NBA players, and so much more. Trainer for the game NBA 2K18, you can use it to activate these essential Cheat Codes: Add 10 Goals (Home), Add 10 Goals (Away), Infinite Stamina, No Fatigue, Freeze Timer, End a Quarter, Infinite Points, Add 5000 Points, Ignore Attribute Limits, Max Upgrade Availability, Infinite Fans, Infinite Price changes, Super Speed, Slow Motion. Note: This cheat tool is for the original version v1.0 of the game NBA 2K18.